Brother Bert Harrison has been honoured as a Chevalier de la Légion d’Honneur (Knight of the Legion of Honour) by the French government, for his gallantry during the Second World War. 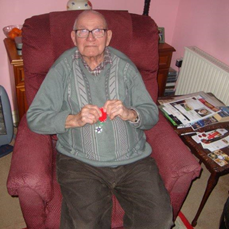 Hungerford resident Bert has been a member of the Hungerford Lodge since 1978. During the Second World War he served as a medic in the Royal Navy and as a 20-year old took part in Operation Dragoon, the Allied invasion of Southern France on August 15th and 16th 1944. Originally code named Anvil, it was designed to complement Operation Sledgehammer, or what we now know as Operation Overlord (the Normandy landings). Bert was part of the amphibious landing force but this action pre-dates the use of roll-on, roll-off landing craft. Bert’s part of the force was transported to the French Mediterranean beaches aboard a converted oil tanker RFA Ennerdale. 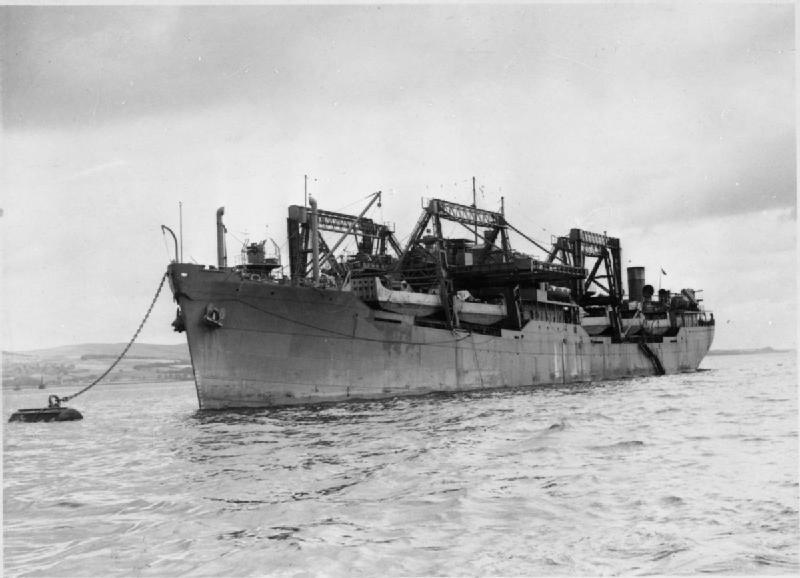 As can be seen in the official Royal Navy picture, gantry cranes were mounted on her deck so that the crew could swing the landing craft out into the sea. Bert remembered “the seas were very rough, far rougher than the norm for the Mediterranean and the Ennerdale came perilously close to up-ending.” It is a testament to Bert as a man, and that generation as a whole, that the memory he discusses is that of the landing craft being lowered into the sea and not the beach assault itself. At our February meeting, the members and visitors of the Hungerford Lodge were informed of Bert’s story and the honour conferred upon him and he was applauded by all. At the Supper following the meeting, the Master asked all present to take wine with Brother Bert, asking that they stand and allow Bert to remain seated. The Lodge is proud to count Bert as a member and honoured that he allows us to call him Brother.